A month out and I realize that these bunnies just aren’t going to be eaten. So what to do? Chop them up and put them in cookies! Note: Also chop up left over Halloween/Christmas/Valentine's Day Candy. 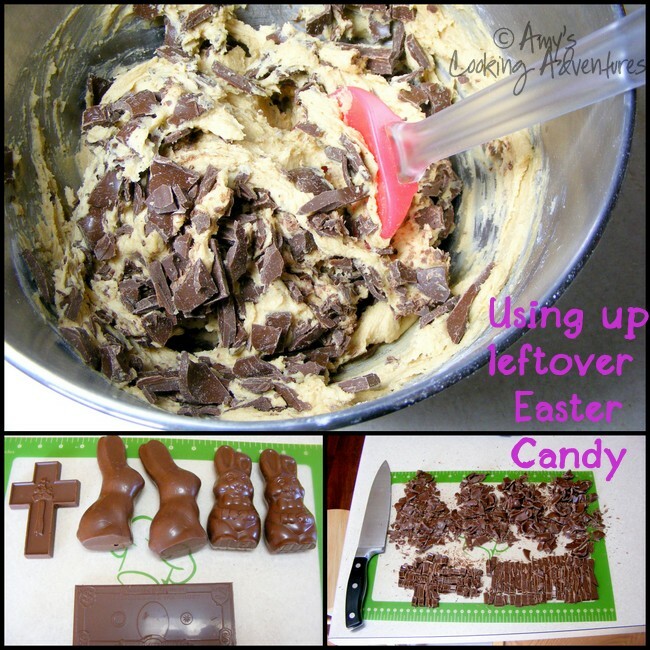 Also mix the candy into other treats like brownies or pancakes!